A few days ahead of the People Matters TechHR Conference Singapore, global thought leaders, HR technology partners and innovators came together and discussed the key priorities for shaping the workplace amidst a slew of new technologies, changing environments and shifting business models. The incredible pace of technology advancement provides businesses, talent managers and technologists the perfect opportunity to engineer a fascinating workplace of tomorrow. But there still remains a gap when it comes to future-readiness. Organizations are still learning to harness technologies that could enable disproportionate leaps in work efficiency. Business leaders are hence working on designing the frameworks they need to put in action to nurture a future-ready digital workforce. To discuss the key priorities for shaping the workplace amidst a slew of new technologies, changing environments and shifting business models, Global Leaders, Thought Leaders, HR Technology partners and Innovators came together and participated in the Tweetchat organized by People Matters. This tweetchat on ‘Engineering the workplace of tomorrow’ was a precursor to the People Matters TechHR Conference Singapore which is to be held on 28th February 2019 at Marina Bay Sands. What are the key challenges that leaders will face while designing jobs for the future? What are the two-three key salient features that human capital leaders need to focus on to design an effective plan for future growth of a distributed workforce? How can leaders ensure that remote workers and multi-generations are provided with the right tools and technology to perform better in a digital economy? What are few of the things organizations need to focus on in order to engage with the mobile workforce? What are those two-three things that can help an organization to meet the needs of this rapidly changing workforce as well as meet far-reaching business goals? 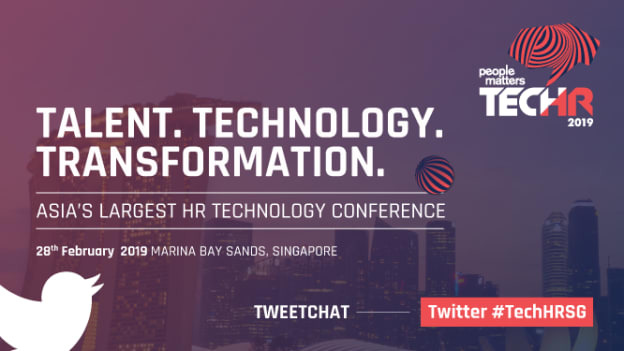 Meet these global thought leaders, HR technology partners and innovators and many others at the People Matters TechHR Singapore Conference on 28th February 2019 at Marina Bay Sands, Singapore. Click here to register.